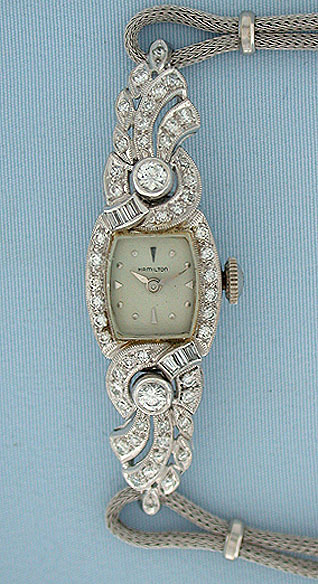 Fine long and graceful Hamilton ladies platinum and diamond vintage wrist watch circa 1950. Graceful flexible case set with a total of 56 diamonds. White gold mesh bracelet. 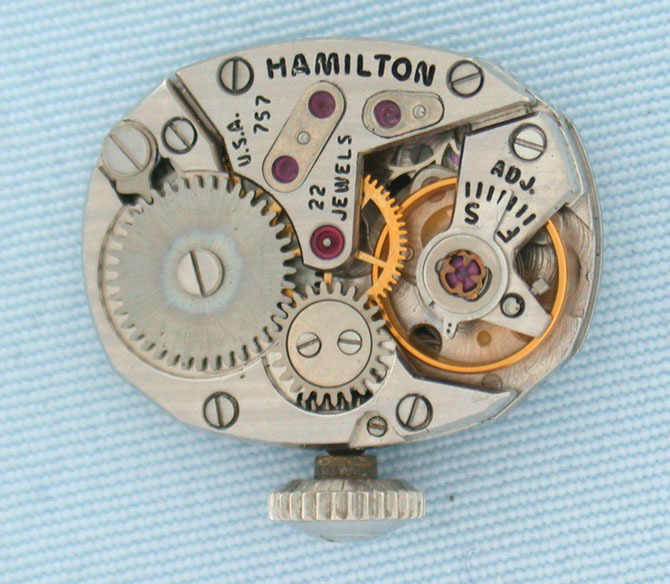 Calibre 757 nickel 22 jewel movement with shockproofing. Original dial with applied white markings and white hands. Overall length 7 inches.